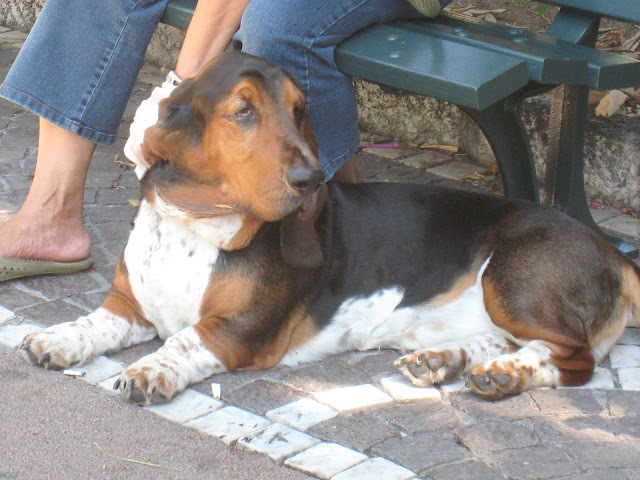 Taking a break from the heat, this Bassett Hound is watching the world go by in the Casino Gardens of Monaco. The small towel is presumably to keep his face dry - bassett hounds have a habit of drooling! 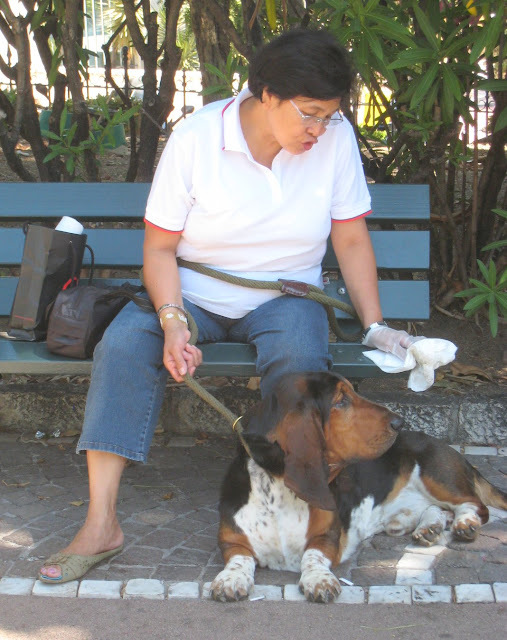 My first dog was a bassett hound and not only did she drool, she was very, very stubborn! Nice shot. LOVE the eyes. I just saw one recently over here.